Today we’re introducing three scuba diving holidays for 2014, three destinations that will leave you breathless, three experiences that you will remember for a life time. To celebrate what we believe was a great year for diving, we’ve put together the 8 most spectacular underwater picture of the year, you’re very welcome to send us your picture via the Facebook page. 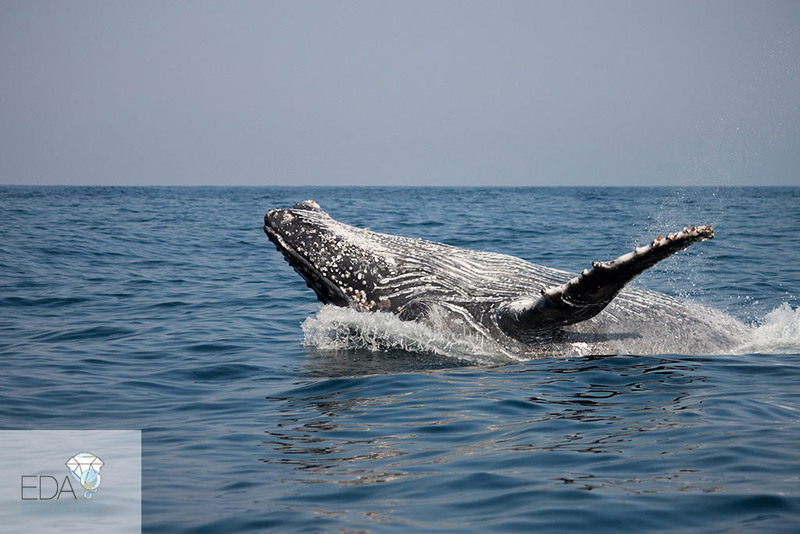 If you’re a passionate diver like we are, this article will enlighten your soul. Next year, 2014, you can choose between three, a soon more, great diving holidays. As usual, EDA’s holidays feature only the best diving destinations, the best diving sites and the best dive guides. Maldives is the diver’s paradise: sunny days, flat sea and warm water. Top comfort for divers with the local boats called dhoni and the friendly local staff, diving in Maldives couldn’t be more relaxing and enjoyable. Underwater, Maldives are simply breathless: it’s one of the few places in the world where you can find a bit of everything. Great for big pelagic fish like sharks, whale sharks, tunas, sailfish, but also great for the little, colourful sea life like nudibranchs, crabs, sea snails, and, last but not least, the reef is one of the most colourful you can dream of. Soft and hard coral alternates in almost all the dive sites, the strong currents flowing in these atolls bring the necessary nourishments to make the reef flourish and shine. 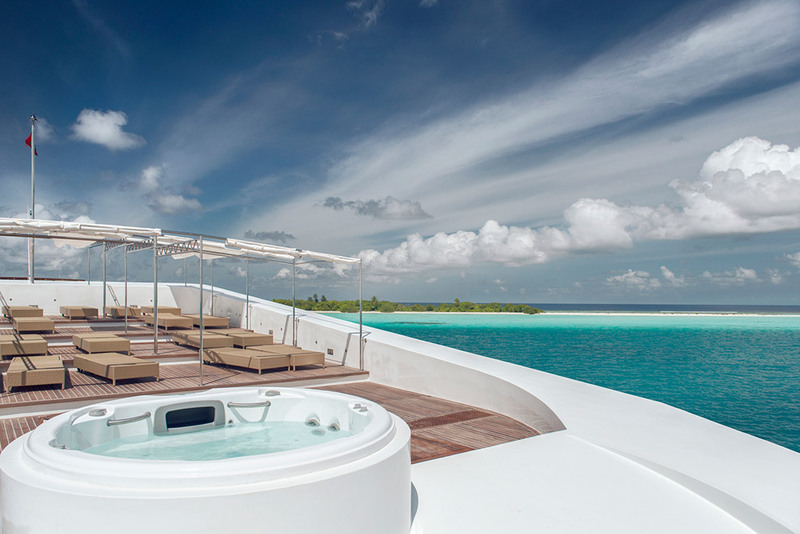 The holiday is one week long, that you can extend for another week before or after, if you wish, and takes place on the last week of March, the best time of the year to visit Maldives. 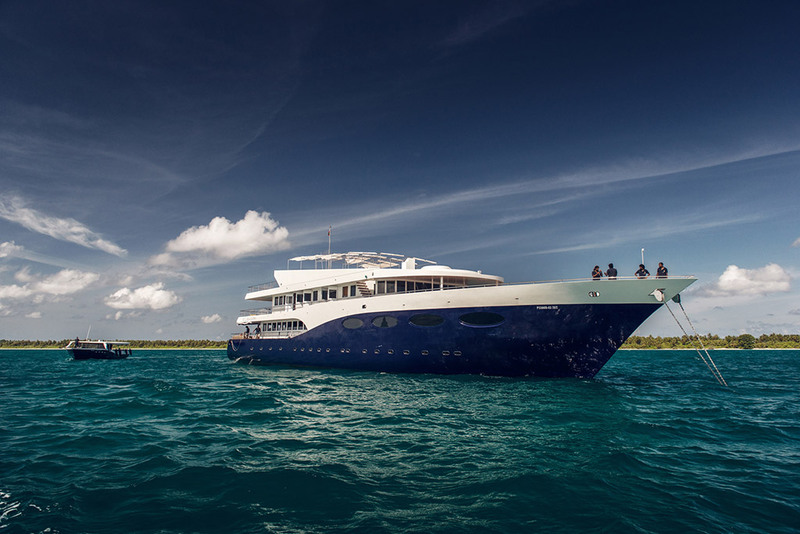 The liveaboard choice has a 300 square meters of SPA onboard and organises daily yoga and pilates lessons, so if you’re traveling with someone who doesn’t dive, that’s is the perfect solution. We’ve prepared especially for you an article about Maldives where you can learn more about the destination. The Sardine Run is now an EDA’s hallmark. We’ve renamed it to Seafari because the amount of sea life that you see is more similar to a land safari than a standard diving holiday. … and these are only the most common, as during the dives you can encounter huge, 300kg+, groupes, rays, nudibranchs and much, much more. The Sardine Run holiday includes 5 days in Aliwal Shoal and Protea Banks, the two best spots in the world for baited shark dives, then we move south to Port St Johns to attend the legendary Sardine Run and we finish up in Simon’s Town, Cape Town, to dive with the great white and the uncommon cow shark. That’s the program, 2 weeks of adrenaline and strong emotions! It has to be part of your logbook. You can read more about South Africa here. Indonesia is one of the places in the world with the most biodiversity underwater life. 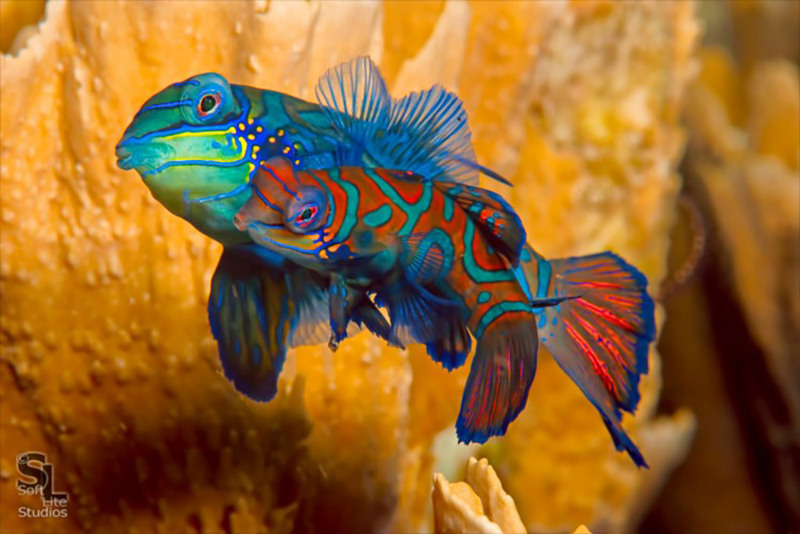 Home of the famous Mandarin fish, North Sulawesi is the perfect destination to grow your personal underwater photo gallery. The number of different sea life species is incredible, from nail-size seahorse, to mimetic frogfish, to manta rays and sharks, what else would you like from your diving holiday? Probably 30º water temperature is the answer you have on the tip of your tongue and indeed is what you’ll find in Indonesia. Prepare your camera and join the trip where you’ll finally get that picture to send to National Geographic. Which diving holiday should you choose?